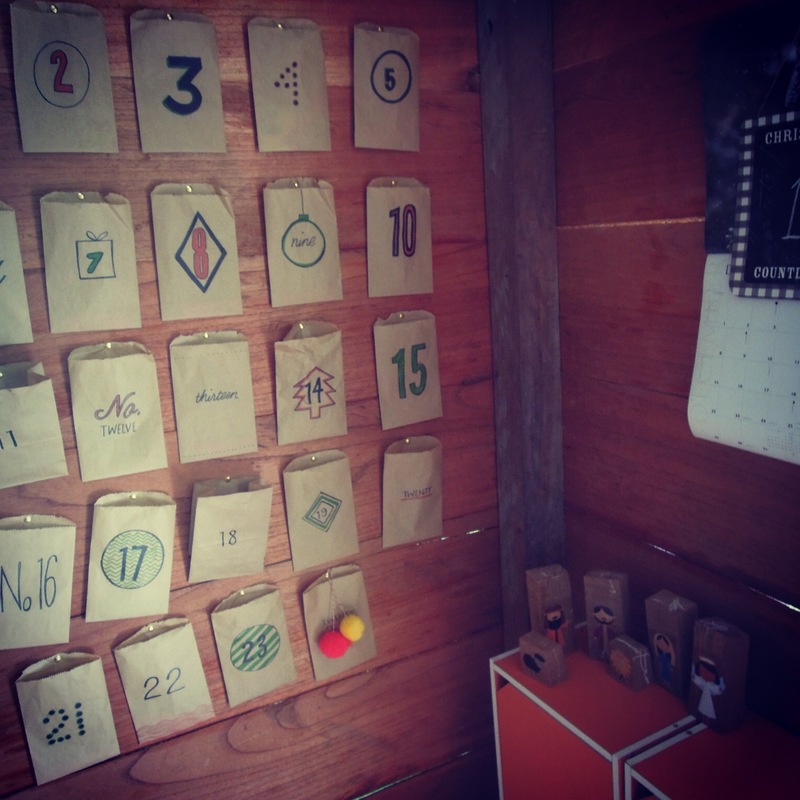 This is our third year using my paper bag advent calendar. I took a bunch of paper bags and wrote numbers on them…its flat and moves easily with us. AND it helps the little guys visually see how much longer they have to wait. The first year I filled them with chocolate coins, or other small treats, or toys. The second year, I printed out the verse prompts, and activities from the Truth is in the Tinsel e-book. It was really good, but we didn’t get through even half of the activities…maybe if it was more flexible it would work better for us. This year I made up cards with activities like watch The Nutcracker, or make a fort and read books, or cut out snowflakes, or bake Christmas cookies, or make a shaving cream snow scene. We actually were able to do most of it because it was more flexible with our unavoidable, always-last-minute-changing schedule. The activites were a lot of fun, but I was disappointed with most of the old time Christmas movies that we had picked to watch…they mostly have a present or Santa Claus focus…not really the spirit of Christmas I was looking for. Not sure what we will do next year. Any ideas? Should I go back to the Truth is in the Tinsel? G is really proud of the ornaments that we did get finished.